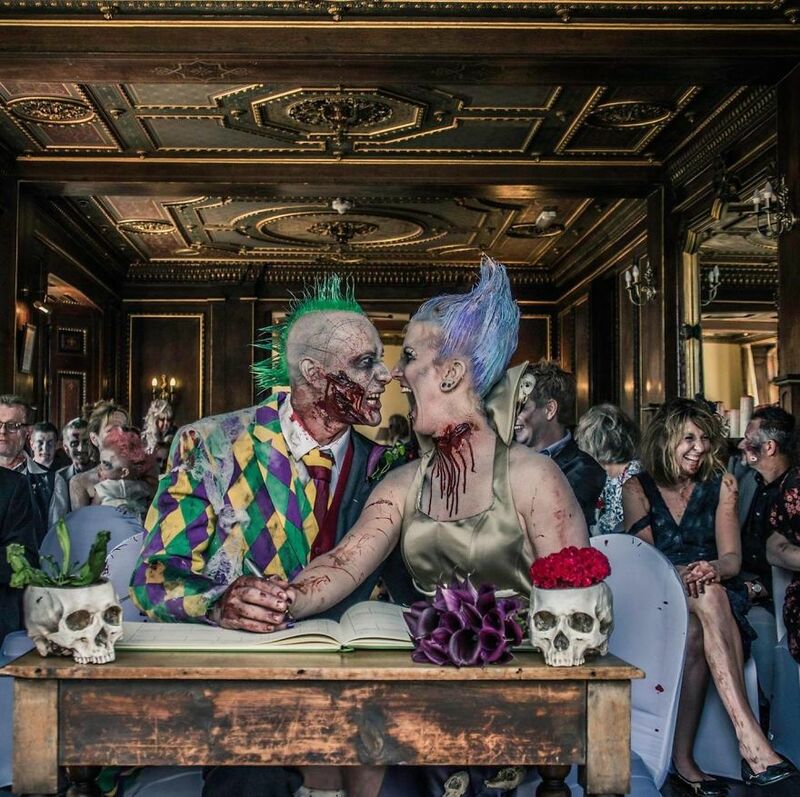 Marriages have undergone many changes over time, and we are increasingly seeing creative and unusual ideas, collaborating with the creation of original and personality-filled ceremonies. 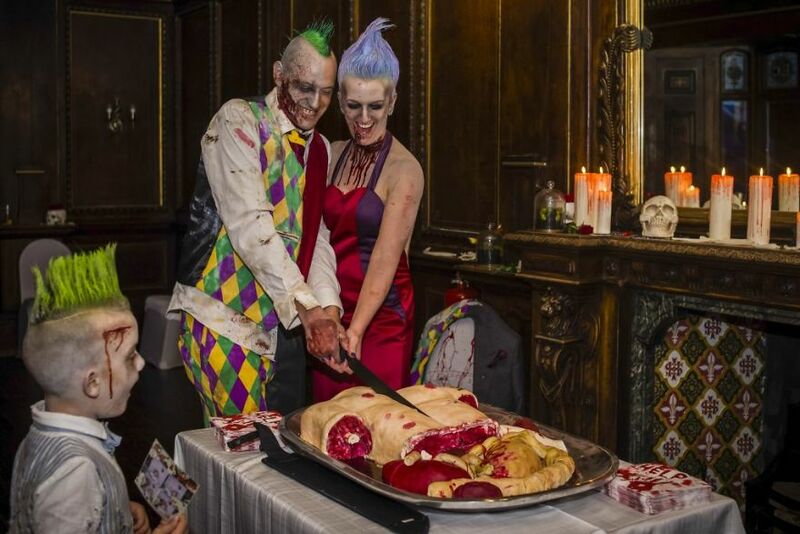 Whether it’s reusing an old piece or hiring a different buffet, what matters is the surprise factor, creating a moment that will be forever marked in the heart of the bride and groom and their guests. 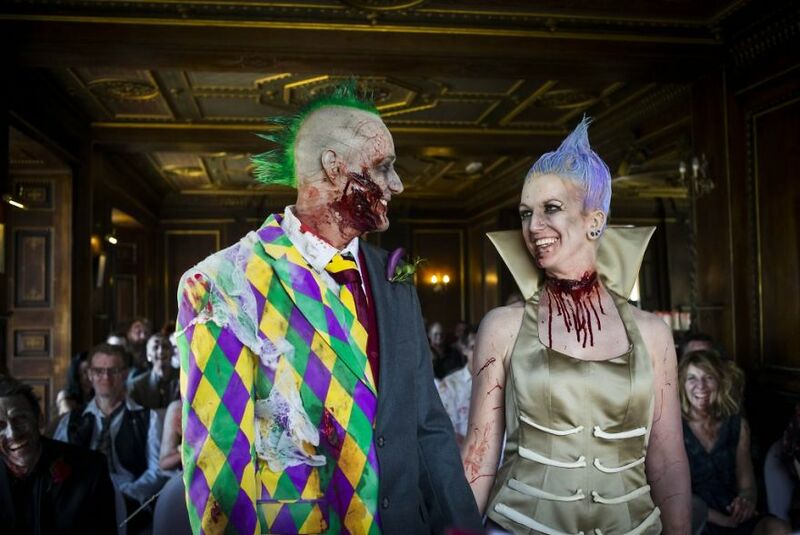 Blue Bailey-Hunt and Dean Pike (her therapist, 32, he butcher, age 35) planned and performed an incredible wedding. 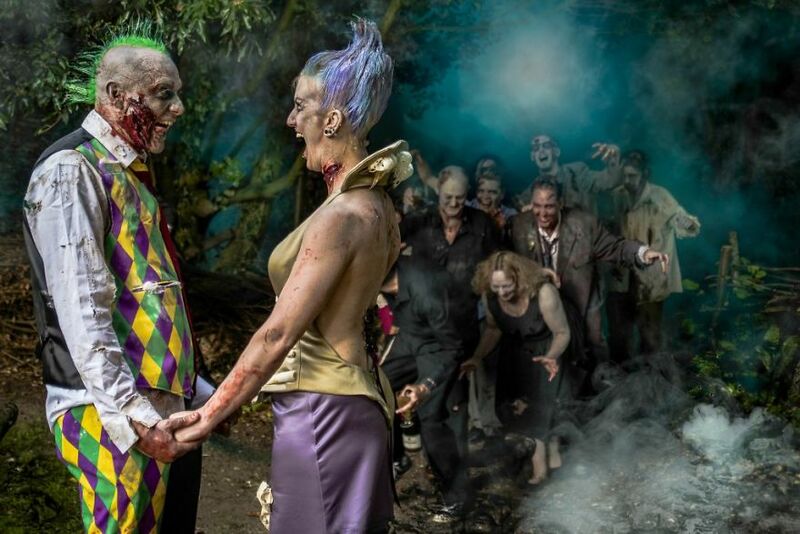 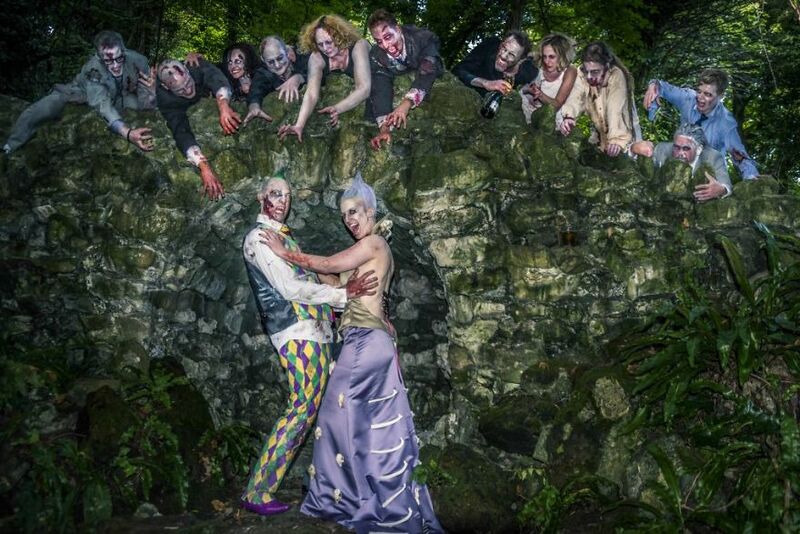 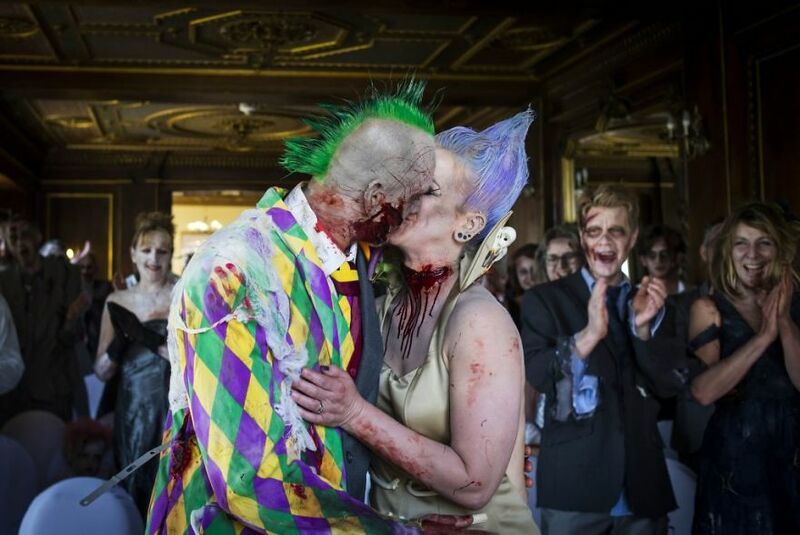 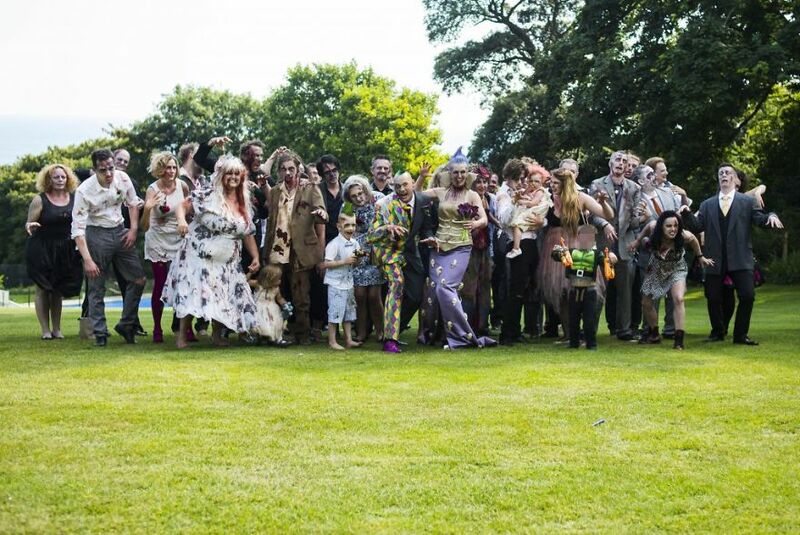 They rented the place dreamed, hired make-up artists, hairdressers and managed to persuade the 98 guests to dress the theme they chose for the wedding, zombies. 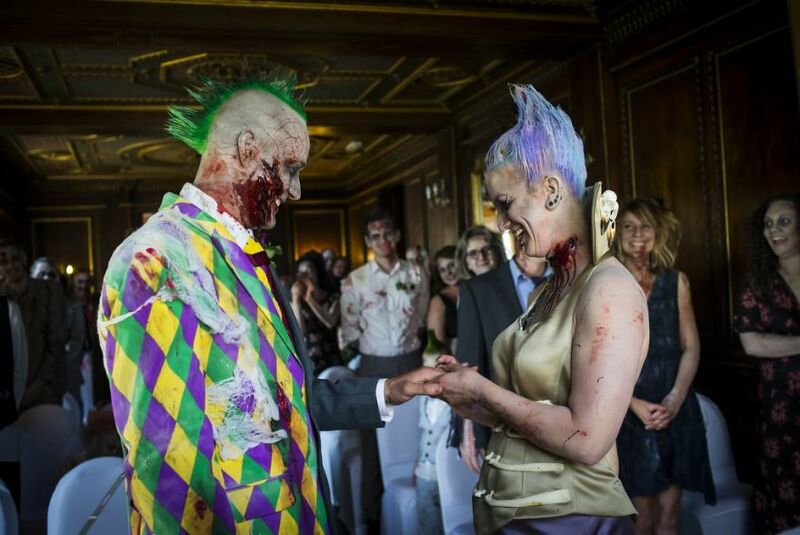 Dean wearing a Harlequin suit and Blue wore a skull-encrusted wedding dress woke up an “affectionate horror” throughout the party, yes they were made.